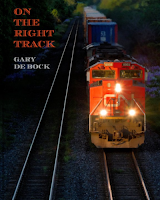 I was contacted by Gary De Bock, the author of the book On the Right Track, a few weeks ago. I'll be honest and say I had never heard his name before. He sent me a free copy of his book and I said I would share my honest opinions on it. It's a rather unique book. 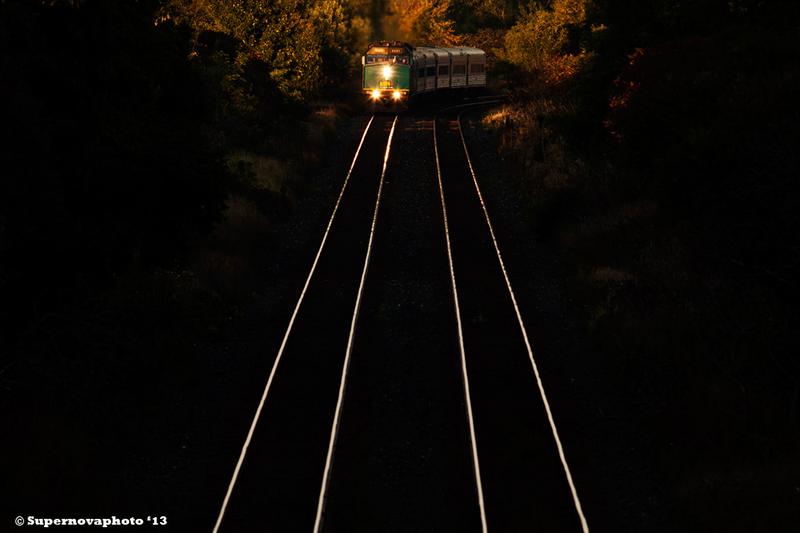 The subtitle for this book is "A Guide to Stronger Railroad Photography" and I think it is very apt. This book is an encouragement to think "outside the box" and to take unique photos that others have not already taken. It is not a "how to" book, nor is it a series of photo essays. I find the book a bit hard to classify into a neat category, and I think that would please the author. The first few chapters go into the author's history. He used to race in Motocross, then got into racing photography for a number of years. He talks about how he learned from the racing photographers how to go for the unique angles, the special lighting conditions, and to take photos that differ from the run of the mill "easy" shots. There are sections on planning your photos, camera settings to achieve the look you want, eliminating clutter, and a lot of exhortation to practice, practice, practice. 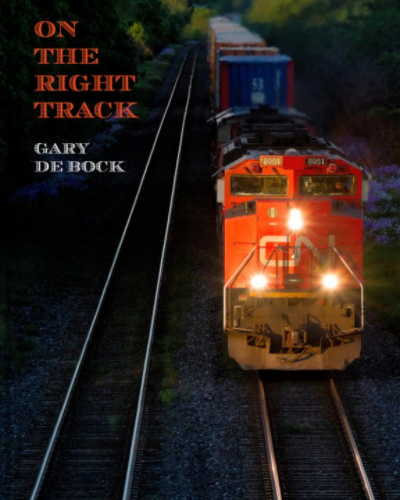 On the Right Track has a few "how I got this shot" type essays, including the great VIA photo above. I would have liked more of these in the book to show the author's approach to taking that particular photograph. I think this book is best for intermediate to advanced photographers who are looking for inspiration to take their photography "to the next level". 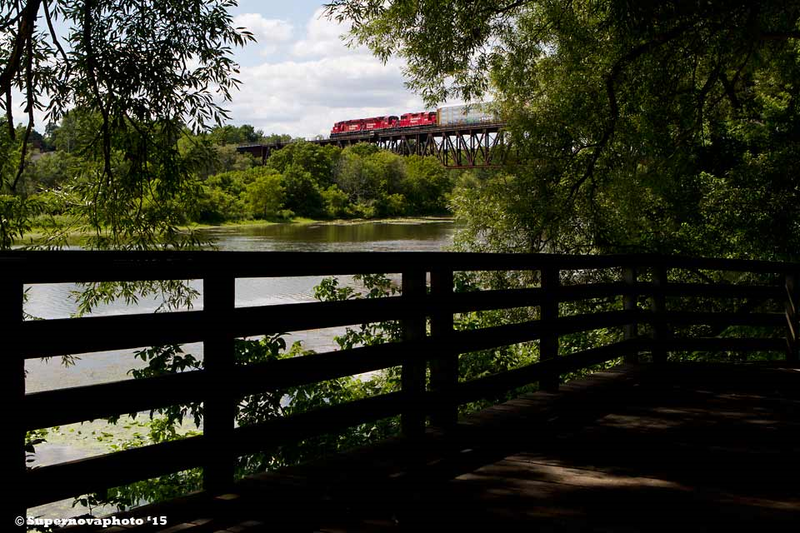 It is a great inspiration to try harder to take better, more impactful photos. I would not recommend it for entry level photographers. I have one main criticism of this book. It could benefit from some editing. It's a bit hard to read in places - especially near the beginning of the book - and an editor could clean it up and make it more readable. Some more section breaks within a chapter would help, as would some more photographs. 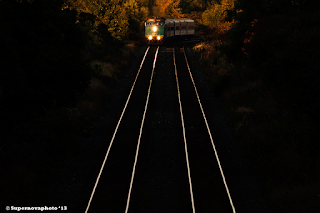 The author has some very strong opinions on railfan photographers, social networks, and photo sharing sites. You might not share those opinions - I have a more positive view of social networks, I think - but kudos to the author for putting his opinions out there. In general I think this book will be a good inspirational source for railway photographers to take better photos. Order this book from Blurb. You can preview the book at that link. I did not receive any compensation for writing this review, other than a free book, and I don't receive any compensation if you buy this book.